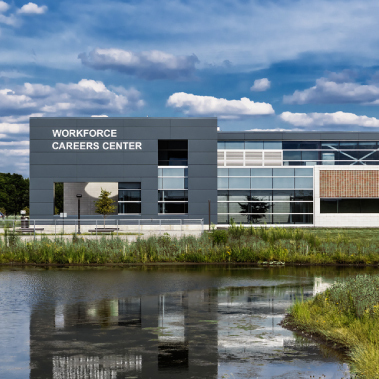 The new six-story facility will be located at the crossroads of the recently completed master plan for the City of Joliet, and as a result, is in a very prominent location within the community. An inviting two-story lobby and restaurant space are located on the first floor to encourage use of the facility by the community-at-large, and a series of student life spaces are situated in a way that will allow students to overlook their community as they pass between classes. 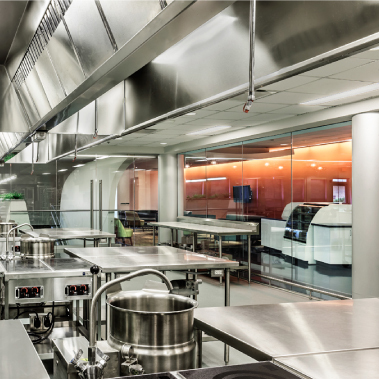 Additionally, new culinary labs will include state-of-the-art foodservice equipment and exhaust systems to support the College’s nationally acclaimed culinary program. The new facility is also physically connected to the existing turn-of-the-century Renaissance Center, originally designed by Daniel Burnham. This historic facility will be upgraded in order to attract and serve the surrounding business community with updated technology and meeting center spaces.